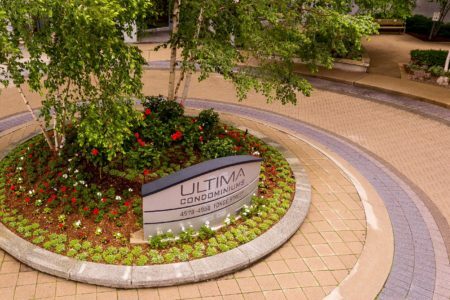 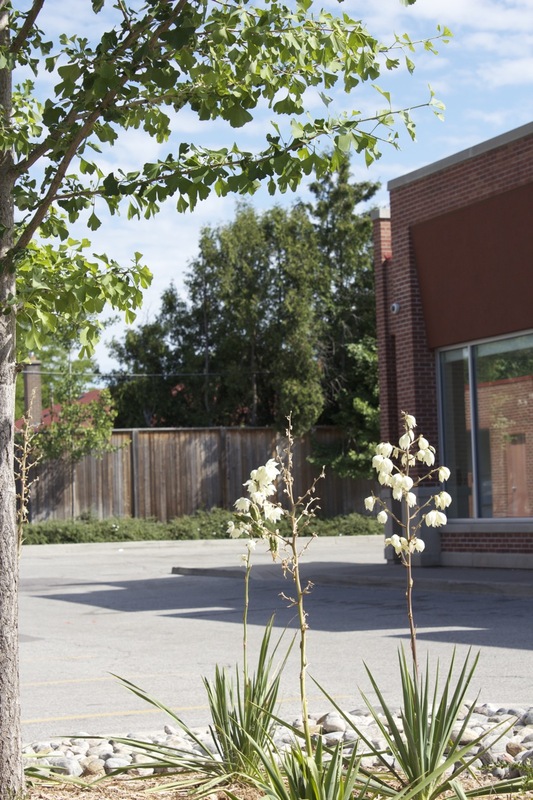 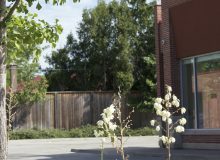 This commercial landscape was designed to be easy to maintain and appropriate for Toronto’s hot summers. 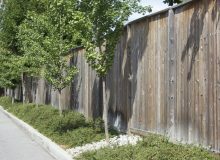 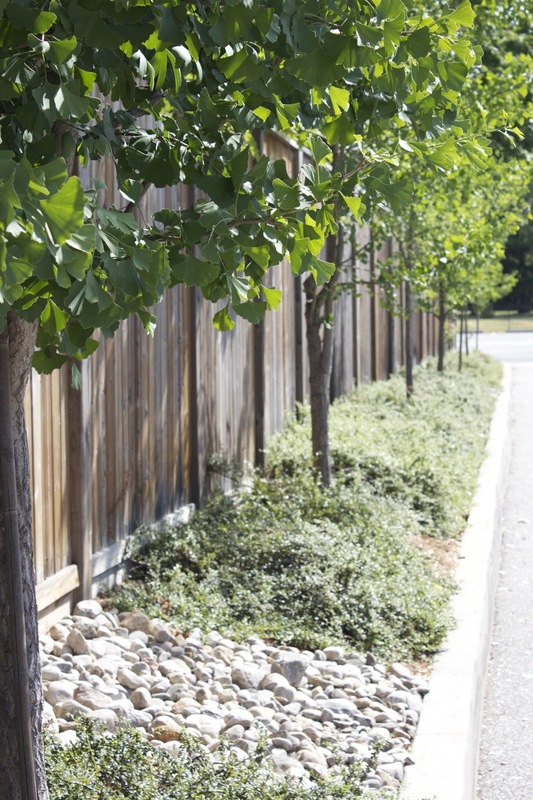 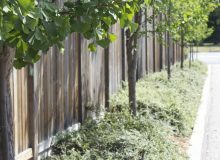 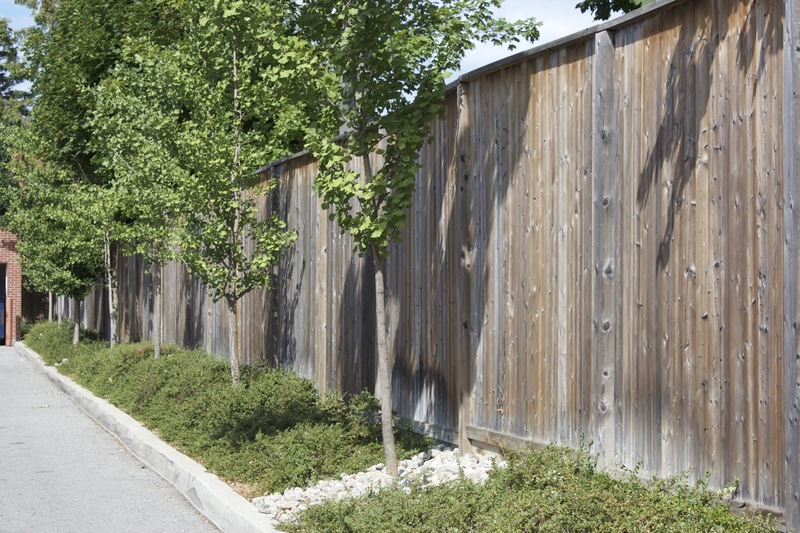 A tall wooden privacy fence defines the property limits and creates an attractive backdrop. 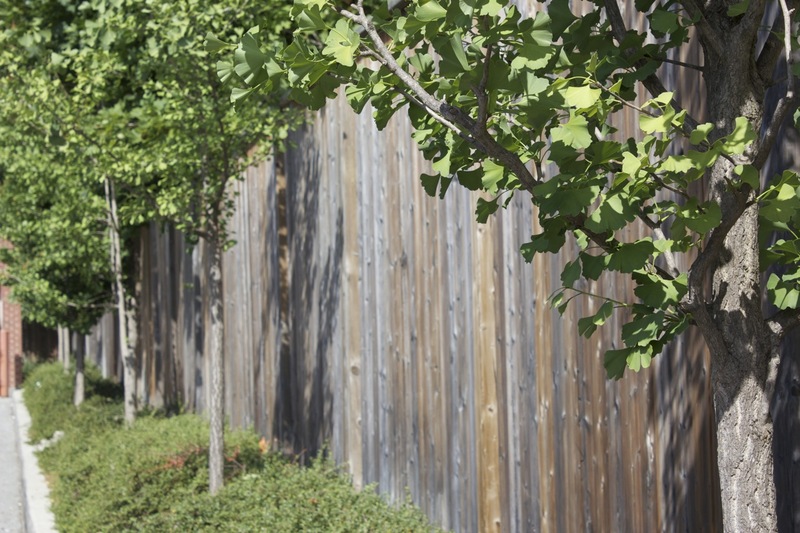 Gingko trees are planted along side the fence. 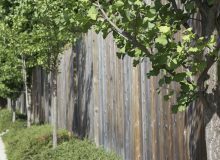 These slow growing but sculptural trees provide a repeating pattern that breaks up the expanse of fence and provides shaded areas that will expand throughout the years. 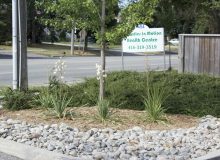 Below the trees are masses of evergreen ground cover that reduces the need for mulching or weeding. 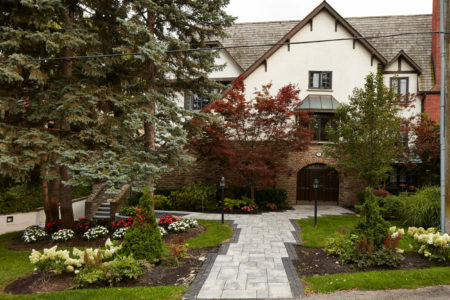 This garden design which is both simple and dramatic. 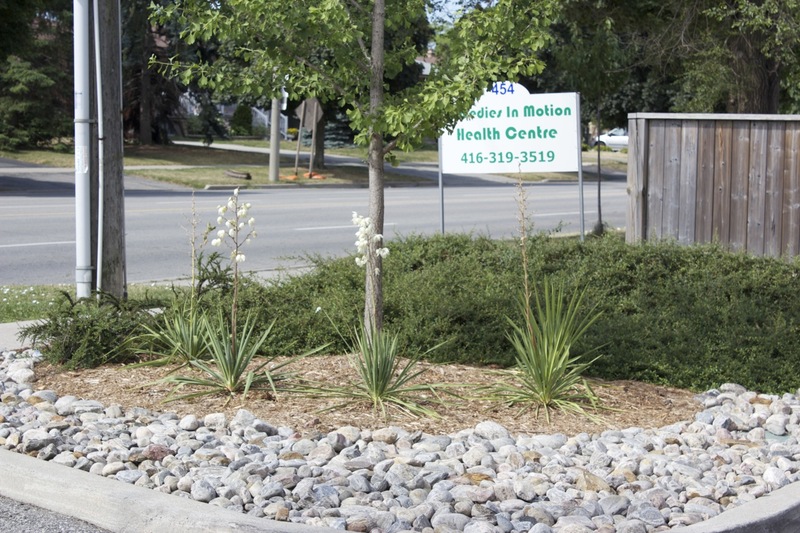 The Yucca plants with their sharp vertical leaves contrast with the round river rocks, and the limited colour palette creates a modern calm garden design requiring the bare minimum property maintainence.